Is Accounting Outsourcing the New Black? In its earlier years, 14 years ago when BOSS first opened its doors, accounting outsourcing was quite the new phrase. Many firms struggled to embrace the idea while a small few decided to give it a try. We understand what it’s like embracing a new business idea. Most businesses want to see how it all pans out before jumping in and rightly so. After all, even though engaging a remote accountant may benefit a firm in the beginning of a new industry it doesn’t mean there won’t be any hiccups to smooth out due to the offering of a fairly new service dealing with people on the other side of the world. 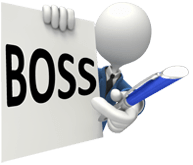 Now that BOSS has been in the accounting outsourcing business for longer than most outsourcing firms, we feel that any headaches we may have had to endure have been smoothed out nicely. Our best offer we present to clients now and the offer that has been the most widely embraced is our Freedom Service. Now that taking on an outsourced accountant has become more mainstream and lots of firms have gone before you to assist in ironing out any problems, now more and more firms are enjoying what it can offer their businesses. Is it your time to do a free trial? Let us show you exactly how BOSS can increase your profit.